I found these on Ebay. Dangerous? Electricity doesn't kill people, people kill people. AFAIK, it is illegal to put AC and low voltage in the same box together. I think the chances of this being UL-listed are pretty low. No reason why it should be dangerous if wired correctly. To wire it correctly would mean throwing it in the trash and getting something safe. Low voltage and 120V should never be in the same box. 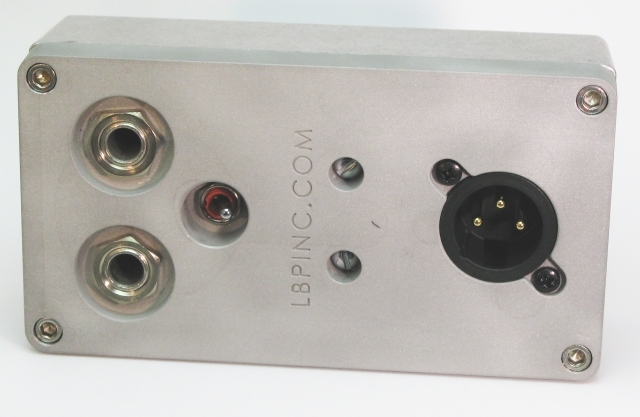 Power and Data can be in the same box, with a solid grounded metal divider that divides the box, essentially creating two boxes from one with a single faceplate. This is done on numerous theatrical installations, and the boxes are UL listed assemblies. I have a space with PowerCon and ethercon on a single faceplate with a divider going in right now. I've also got them from ETC. It's a single box with a single faceplate with a interior voltage divider. Has to be fed with separate conduit, on each side of the divider, but it can and is done. Again, not the case for the OP, but they exist. If those are the rules, then fair enough, but there is nothing inherently dangerous if wired correctly. I'm sure there are many pieces of equipment in existence with similar spacing internally. I don't think I would use this outlet myself, I would much rather have them on separate faceplates, but just because it does not conform to the regulations, doesn't mean it is automatically dangerous. Here in the UK, 120v is considered low voltage! !